All order placed via credit card will allow for 24 to 48 hours for proper clearing before items are processed and/or shipped. All American Products are shipped directly from the manufacturer and will require an adult signature confirmation upon arrival. Myco Supply reserves the right to hold any order for 10 business days that deems fitting until payment has fully cleared. Due to high amounts of credit card fraud, all credit card orders placed with a different bill to and ship to address will be held for a minimum of 7 business days regardless of the shipping option chosen for the order. Other orders such as purchase orders (until credit references have been cleared), personal/business checks, and others will also be held until properly cleared. This is for our safety as well as yours. Myco Supply reserves the right to ship any order using any freight carrier we feel feasible. Via UPS, USPS, FedEx, etc. Myco Supply reserves the right to combine multiple orders that are being sent to the same ship to address. If your order exceeds 150 pounds, you will be contacted with an adjusted shipping total. Your order will not be processed until you are made aware of the new amount. As seen here the weight limit for UPS is 150 pounds. Credit and Debit Card orders exceeding $2,500 USD are subject to approval. I, the purchaser, by ordering items from Myco Supply hereby release this company and its employees from all liability associated with the use of their products and services. I do so fully aware of the consequences thereof. I agree not to represent their products and services to third parties without the written consent of Myco Supply. I hereby take responsibility for the proper handling, use, location, safety and disposal of any and all chemical-related products contained herein. I am over the age of 18. I have read and understand this liability release and signify my agreement to these terms by the mere fact that I have elected to conduct business with Myco Supply. Myco Supply does NOT refund any shipping fee. Please consult your UPS/USPS representative. All returns are subject to a 15% restocking fee from an orders total price. All American Products are subject to a 30% restocking fee. There is a 5% cancellation fee on all orders that are processed but not shipped. This fee is what our credit card processor charges us to authorize your order. All American products can only be returned if they have NOT been used. Myco Supply gives no refunds, exchanges or store credit for items that have been in a customers possession longer than 14 days. Any shipping address given that is incorrect (wrong apartment number, spelling mistakes, customer/recipient not able to retrieve package etc.) that results in a package returned to Myco Supply will be responsible for any new shipping fees that will occur. Merchandise returned after five business days without prior notification will be subject to additional 10% restocking fee. Myco Supply reserves the right to adjust, change or modify a product without prior notification. All returns, charge backs or canceled orders will be refunded in the order the payment was made. All returns must be received in tact and in resellable, unused, unopen and unmodified condition. No replacements will be shipped until defective merchandise has been returned and evaluated for damage (typical turnaround time: 1-2 business days). Merchandise should be returned in its original container, with all accessories and documentation, and with sufficient protective packaging. Myco Supply will not be responsible for damage incurred to returned merchandise in transit, so insuring expensive items is recommended. Please include a note with the merchandise, giving your full name, shipping address and phone number, order number, and reason(s) for return. Merchandise returned for reasons other than defects will be subject to a 15 percent restocking fee, provided that we are notified of the return within five business days from receipt of the order and the merchandise is returned to us immediately thereafter. Customers notifying Myco Supply of a return should contact us via phone, email or by mail when available. When notifying us of a return, please have your purchase order number available to provide to a Customer Service representative. Merchandise returned after five business days of receipt without prior notification will be subject to a 25 percent restocking fee. When returning merchandise, please include a note giving your full name, mailing address and phone number, order number and reason(s) for return. Myco Supply uses UPS shipping rates for ALL ORDERS. Regardless of the actual carrier used to deliver. UPS picks up orders directly from our warehouse, if an order is shipped via USPS or any other carrier then a Myco Supply employee must drive, travel and use company resources to deliver the order. For this reason is why we strictly use UPS shipping rates on all orders. Shipping rates and fees are NOT negotiable. Generally, most orders over three pounds being delivered within the continental United States are shipped via UPS unless otherwise arranged. 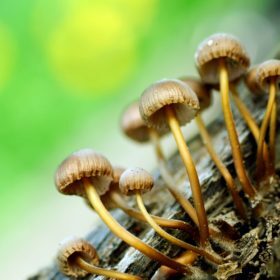 Under the decision of Myco Supply, most packages under three pounds may be shipped via The US Postal Service but this too is based upon our discretion. We do ship to PO Boxes although UPS shipments require a physical address for delivery ( UPS will NOT ship to a PO Box.). If you have a PO Box, not a problem, we’ll simply use The US Postal Service as the carrier but UPS rates still apply. To eliminate possible returns, orders must be accompanied by a phone number. Orders can also be sent by Second or Next Day Shipping. Please contact us for costs and availability of merchandise. We ship to customers throughout the world every day, by a variety of shipping carriers and methods. Transit times will vary by geographical location and type of service requested. Most packages of 10 lbs. or less can often be shipped economically via United States Postal Air Mail, with a transit time of approximately 1-3 weeks depending on destination. Orders in excess of 10 lbs. are often more economically shipped via UPS Worldwide Expedited Service (transit time approximately 3-10 days, depending on destination and/or customs delay). Orders for large items such as Grow Rooms are shipped via independent Air or Ocean Freight carriers, depending on the total weight and dimensions of the merchandise. Rate quotations for shipping on large equipment orders are provided on a case-by-case basis, and are valid for 30 days from date of origin. All merchandise and shipping charges must be paid prior to shipment. Preferred methods of payment are Wire Transfer, Visa and Mastercard, Cashier’s Check or International Money Order (please contact us regarding this method of payment). For security reasons, no refunds or exchanges for any reason on orders outside of the US. If your items are damaged you must deal with the shipping carrier. Once an order leaves the United States, Myco Supply is not responsible for any loss, damage or delays with an order. No refunds or exchanges are accepted once an order leaves the United States. Orders placed outside of the US, if returned, will be subject to the return shipping fees/customs fees not originally calculated into an orders quote. All orders placed outside of the US using a credit card will be subject to a clearance period. This clearance period may be between 7 to 30+ days. This is for our protection as well as the card holders. If you need faster delivery time, contact us in regards to a bank wire transfer. International orders paid with a company/personal check or money order may take up to 6 months to refund to insure that the payment has fully cleared. This measure is taken to prove validity against counterfeit checks/money orders. Sorry, postal money orders from outside the US or Canada will not be accepted. We are happy to provide quotes on shipping costs for international customers via mail, email and phone. Please note: your government may apply duties or taxes to products shipped to you from our company. Myco Supply has no way of calculating or predicting the amount of any duties or taxes that may be applied to any shipment. It is up to the customer to pay any fees that may be associated with importing of our products into your country. Myco Supply reserves the right to withhold refunds and/or apply additional charges to any order refused by an international customer, in order to recoup any shipping or forwarding fees charged to Myco Supply by the shipping company or other relevant parties. If you have questions regarding duties or taxes on a current or prospective order, we suggest you contact the appropriate government agency or the local office of the shipper used for your order.